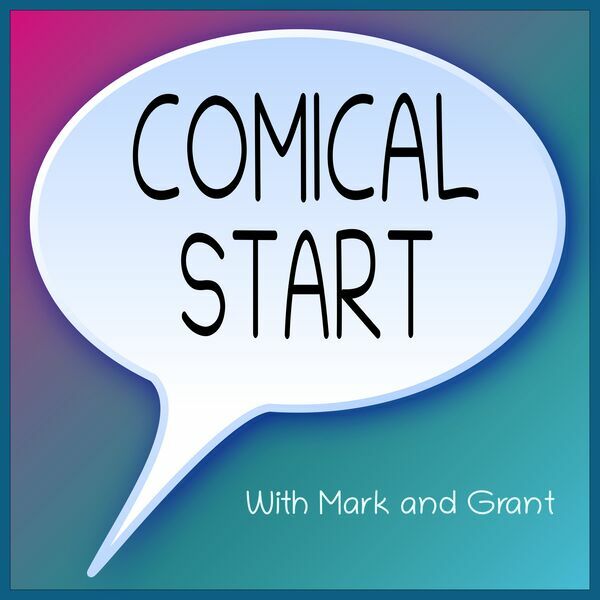 In a time-constrained episode, Mark and Grant have a grand time. Mark opens by discussing a short story he wrote and published on Amazon. All proceeds are going to the Trevor Project for mental illness assistance. Feel free to email the show if you want a PDF or ePub instead! Grant brings a The Buckets comic. They talk about taking big steps in life, deciding the value of things in their life, and other "big stuff." Mark brings an F Minus comic to the table. Avoiding the obvious discussion around climate change, they instead talk about revenge. Also discussed is the 1 dollar script from an xkcd comic.